In addition to learning more about Master of Puppets through an upcoming coffee table book, diehard Metallica fans can now find out about the band's early days through a newly launched, four-part documentary series produced by Spotify. 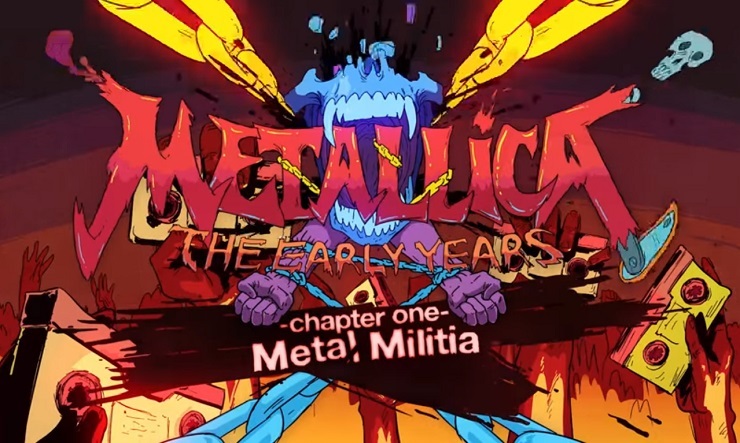 Landmark: Metallica - The Early Years premiered today (August 18), with the first chapter having been uploaded to YouTube for all to see. The remaining three episodes are currently only available through Spotify's mobile app. The series finds band members Lars Ulrich and James Hetfield waxing on their past, from tape trading with strangers, to favouring European metal acts like Iron Maiden, Judas Priest and the "Scorps" over the Sunset Strip scene of the early '80s. The eight-minute episode also lets us see the flyer for the band's first-ever gig, out at Anaheim, CA's Radio City. The show is described as having been horrible, supremely unattended and riddled with embarrassment, since then-guitarist Dave Mustaine broke three strings within a few minutes of jumping onstage. Featuring interviews with Metallica proper, as well as anecdotes from people like Metal Blade Records founder Brian Slagel, you'll find the first part of the headbanging documentary series down below.